India may not be heading for the same fate as the Austro-Hungarian Empire, but that doesn’t mean the example is flawed. Last week, Franz-Stefan Gady wrote an excellent article comparing India to the erstwhile Austro-Hungarian Empire, focusing on the foreign policy realm. While Franz focuses on the similarities between the strategic positions of India and 19th century Austria-Hungary, the domestic similarities between the two states are also quite fascinating. The structural and demographic similarities between India and Austria-Hungary are both comforting and unnerving. Compared to many of its neighbors, its predecessors, and many of its successor states, the late Austro-Hungarian Empire was largely a liberal empire in the classical sense of that term. Though autocratic in some ways, it guaranteed its citizens basic rights and a stable legal regime. India does this too, albeit imperfectly, which is more than can be said of many of its neighbors. 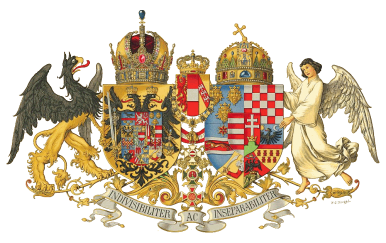 The Austro-Hungarian Empire was an empire structured around a dynasty – the Habsburgs – rather than a nation. In fact, it was host to 11 different nations with the Austro-German and Hungarian elites dominating their respective halves of the Habsburg realm. German was the official language of the empire’s army and bureaucracy, yet it was also the language of high culture – somewhat similar to English in the India of today – and bred a sense of national belonging. Today, like the Danube Monarchy, India, too, is held together, by an opaque idea of Indianness combined with a common elite language instead of ethnic nationalism prevalent in other countries, and also provides its citizens a security umbrella under which they can prosper economically and develop peacefully. However, the innate fragility of the late Austria-Hungary is perhaps quite similar to one that I believe exists beneath the surface of India’s elite culture, and perhaps one that goes unnoticed by many of its elites, who usually like to refer to themselves as middle class – despite being better off than three-quarters of the country’s population. India’s various geographically concentrated ethnic groups, as well as religions, castes, and classes may all be willing to buy into its liberal system while times are good and the economy is booming. But if India’s center cannot hold, if its weak state comes under extreme strain due to an internal or external crises – similar to the First World War experience in Austria-Hungary – it is entirely possible that opportunistic, ideologically committed individuals or organizations could try to break away from India to pursue their own agendas. There is no doubt that some of India’s states, especially in its outlying regions, would jump at the chance of independence if they could do so unharmed. There is some evidence, for example, that a few officials in the state of Tamil Nadu quietly explored the prospects of independence during the “the Emergency” (1975-1977), when Prime Minister Indira Gandhi suspended the Indian constitution. While one can understand the linguistic, religion, and ethnic issues that would drive India apart like Austria-Hungary, we must remember that such a scenario would result in a worse situation for almost everyone involved. The breakup of Austria-Hungary destroyed a great economic and political entity in Central Europe, and opened up the region to a host of despots, nationalism, and foreign tyranny imposed on the Habsburg Empire’s successor states. This would not have been possible had the empire stayed together, and would have provided Central Europe with a counter-force to German and Russian expansion. The absence of an Indian state would harm the South Asian region. Smaller states to emerge from India’s carcass, would lack geopolitical clout and be open to intrusive foreign influences – perhaps from a country like China. In terms of domestic governance, the chief ministers of many Indian states already rule their states like feudal fiefs, akin to virtual dictators. India is surrounded by a host of illiberal countries in much of South Asia, East Asia, Southeast Asia, Central Asia, and the Middle East. Yet, as a unitary, multi-ethnic state (and perhaps just because of this), India has been able to sustain its institutions and a form of government relatively rare in Asia. Therefore, while the collapse of India might serve the interests of some nationalities and would certainly improve the linguistic prospects of many languages, it would usher in a long, dark period of regional disunity, foreign influence, rabid nationalism, and economic disintegration, as was the case in Central Europe when its great liberal empire collapsed. Sometimes life in a state that seems rotten but, at the same time, somewhat stable and cultured, will not be missed until after some great upheaval. As the French diplomat Talleyrand once said of France: “Those who have not lived before the [French] Revolution do not know the sweetness of living.” However unwieldy India appears today and Austria-Hungary seemed 100 years ago, to live in a great multinational and reasonable tolerant country may demonstratively be better to the chaotic vacuum its collapse would create, as we can see if we take the lessons from the disappearance of Austria-Hungary to heart.